For someone who had not gone to Ilocos Norte all his life, I got bewildered to learn that Pagudpud has several beaches to offer. There is this popular Maira-Ira Beach that is being labeled as “Blue Lagoon” due to its crescent-shaped shore of fine white sand. Your CorpSlave basking in Pannzian sand. The place is often used as location for Miss Earth pageant. Another is Saud Beach, which is pleasing due to its kilometer stretch of white sand. I can say that Saud beach is better than Maira-ira Beach because of its unimpeded view of the horizon. But what captured my heart is the beach of Barangay Pancian. Unadulterated beauty of Pancian beach. Pancian beach is not the usual beach one would dream basking in. First, its sand is not white neither it is fine like its two popular neighbors. What is likeable with Pancian is that it is charming without being pretentious. Its tranquility and exclusiveness captured me. Its sand may not be fine and white but instead its shore has a mixture of sand and pebbles of different hues and colors. Yes, its likeable because its different, or maybe because it is eccentric in some ways like me. 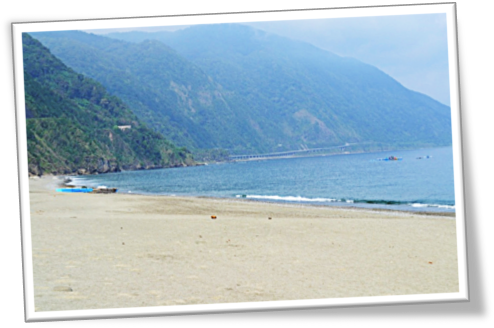 The jewel of Barangay Pancian is Pannzian Beach and Mountain Resort. 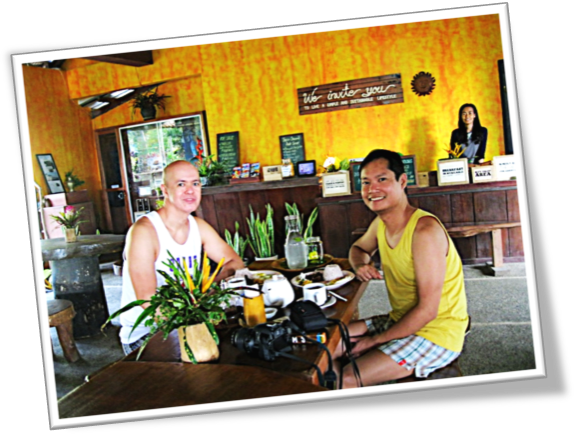 Situated in the northernmost part of Pagudpud, Pannzian is a great find for people who want to try great accommodation and excellent service in different perspective. Gracious staff are aplenty at Pannzian. 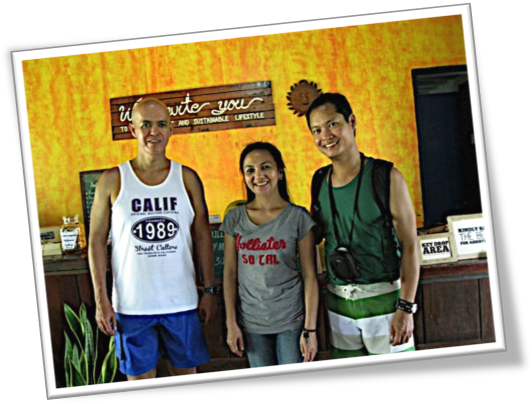 With your CorpSlave is Ms. Badette, Pannzian Front Desk Officer, and travel bud Dr. Ramos. Vacation for me is reprieve from my daily life. So when I spend my vacation, I don’t usually look for comfort of home. Each vacation is experience. I don’t expect that I will sleep in comfort on Tempur pillows and Egyptian cotton sheets. Neither do I anticipate Porcelanosa bathtub and Kohler fixtures. A comfortable bed with crisp linens, an aircon, and decent bathroom is luxurious enough for me. And this is what Pannzian Beach and Mountain Resort can offer… plus a dozen more. 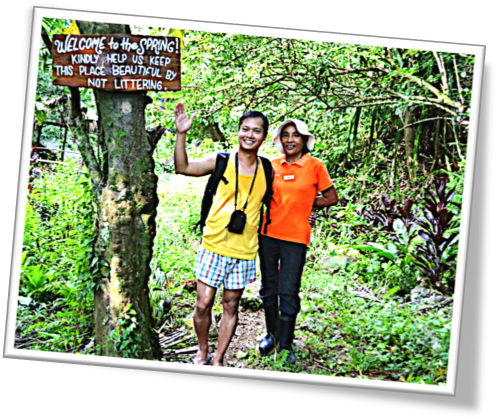 Dr. Ramos and Pannzian trekking guide Ate Vicky. Accommodation at Pannzian is a log cabin of sort with its own terrace overlooking the breathtaking view of Cordillera mountain range that meets Pasaleng Bay at its base. It is a perfect haven for nature lover. The place is so quiet and serene. The air is a mixture of sea breeze and the densely forested area of Cordillera. I can sleep the whole day in any corner of the resort if not for the bloody itinerary. Food tripping was second on my list when I went to Ilocos and Pannzian did not disappoint me. Until now I am still craving for their signature dishes like Pancit Sisig, Chinese Malungay salad and Mongo with bagnet. Their Laoag longanisa, sinangag and fried egg with pickled wild cucumber is perfect as day starter. Their maja blanca is to die for; I can eat 10 orders of that in half an hour. Lunch and dinner at Pannzian always end with a pot full of complimentary lemon grass tea. I never thought that the omnipresent lemon grass, which is aplenty in our backyard way back home, is so tasteful. Shall I say it’s healthy too? Breakfast at Pannzian is an early treat for a day that is full of activities. Definitely, Pannzian is not about luxury. The accommodation, their food, and I almost forgot, there’s no internet and mobile phone connection in the area so you may also forget connecting with the rest of the world. Instead, you may spend hours basking in the sea, exploring the mountains (with guide of course), or body massage. Then reward yourself with glorious food. 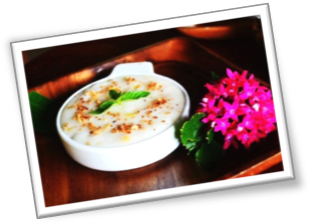 Heavenly maja blanca at Pannzian. If there’s one thing luxurious at Pannzian it will be the way they treat their guests. For them, serving their guests is a pleasure not an obligation. Their hospitality is innate. Not even a grain of displeasure. People of Pannzian made my vacation in the Ilocos Region truly memorable. I may not be able to return to that wonderful place in the future but one thing is for sure… they will always be treasured as I go on with my life’s journey. What a lovely post! And what I like about it is that there is a clear focus of the travel up north, which is Pancian. 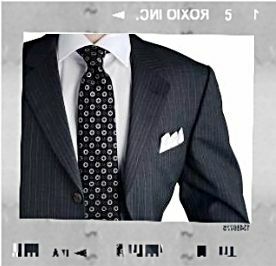 The title alone makes me want to go back and re-discover it. Your blog surely made me miss Pancian all of a sudden. Thanks for the great company and the nice story! You’re awesome. This entry was posted on April 22, 2014 by thecorpslave and tagged Pagudpud, Pannzian.